Want to know how to access onion sites? And looking for step by step tutorials? If your answer is yes, you are going to love this guide. 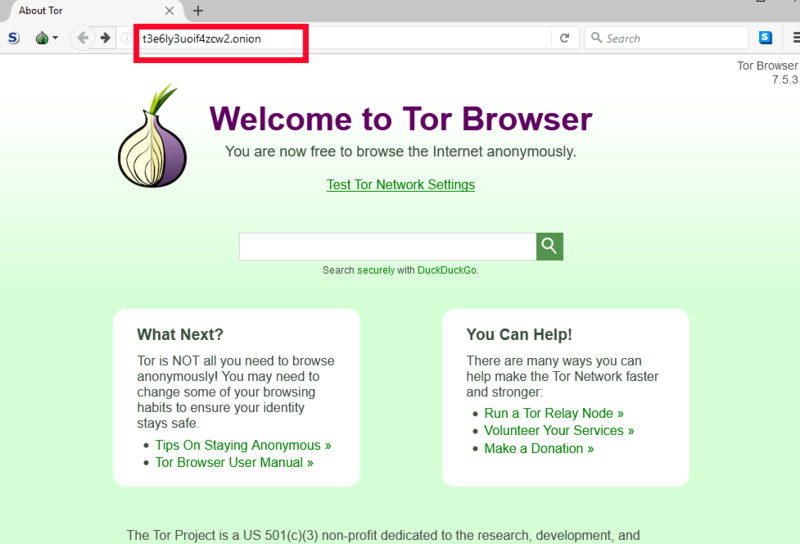 In this guide, I am going to tell what .onion site is, security key points which you need to remember while browsing Tor Network with Tor Browser and how to access onion websites. .onion sites are those websites on the dark web that are designed to offer anonymous hidden service at Tor network and only accessible with dark web browsers like Tor Browser. These tor websites are not like normal sites so you can’t access them with regular browsers even you are not able to Google them. You can find them with only deep web search engines and some websites which offers deep web links directory. .onion is a particular top level domain suffix that indicates an anonymous hidden service at Tor Network. Onion addresses don’t have actual DNS names. Even .onion TLD doesn’t exist in Internet DNS root. But specially designed proxy software installed (mostly used Tor Browser), applications like web browsers can access .onion websites by requesting through Tor Network. The primary purpose of designing such system is to ensure both the information provider on the dark web and the people browsing deep web are not traceable easily by one another, by an ISP provider and an outsider. Or I must say making tracing difficult for everyone. Onion address is a 16 character alpha-semi-numeric hashes that are generated automatically based on the Public key. These 16 character hashes consist of any letter of the alphabet and decimal digits for 2 -7. So it represents an 80-bit number. To set up a memorable .onion address is possible by generating vast numbers of key pairs but this process can consume a very long time. So, Most of the hidden service try to find an onion address which matches stating 4 -5 character to make it recognizable. For Example, Facebook onion address is https://facebookcorewwwi.onion/. I hope now you understand what onion websites are. It’s time to move to next section of the article. Here is step by step tutorial which you need to follow to access. 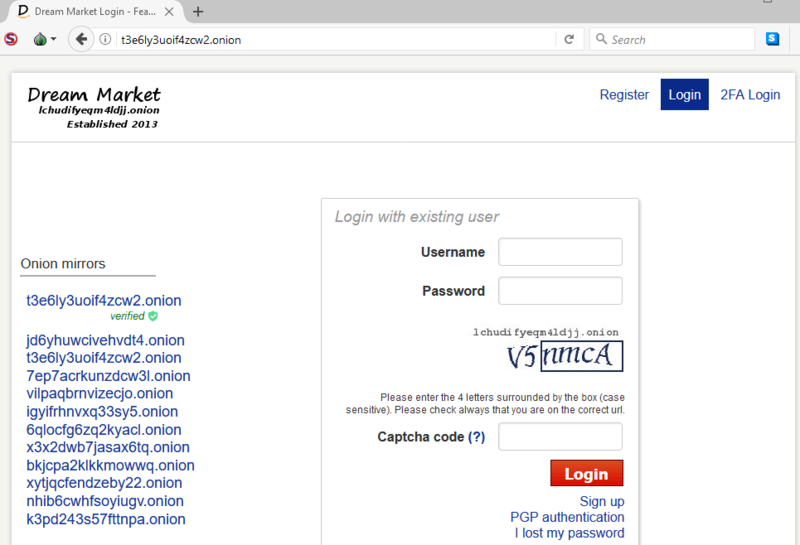 Onion websites on dark web/deep web. 1). Close all the active programs and applications which are using the Internet. When we talk about deep web/dark web, our anonymity and privacy become a major concern which you can’t put on the risk in any way. VPN service helps to make tracing impossible virtually. It adds an extra layer of encryption and anonymity means you create a complete untraceable environment. I have tested many VPN services in the past, And I found NordVPN best as compared to other VPN Software in many features. Even they provide Onion over Server. 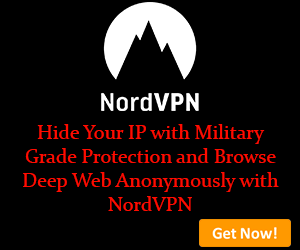 That’s why NordVPN is my first choice always. 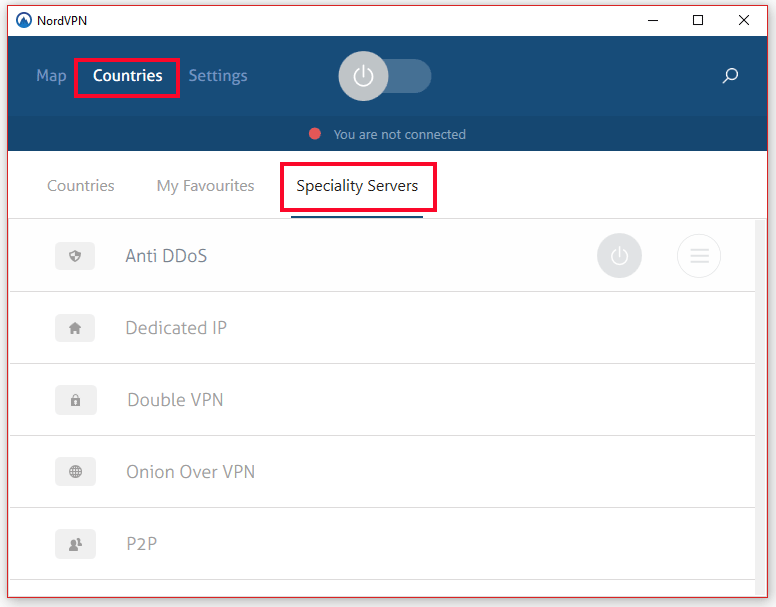 Once you start NordVPN, Click on the Countries option, now you will see three options, countries, my Favourites, and Speciality Servers. Click on Speciality Servers, here you will find Onion Over VPN. 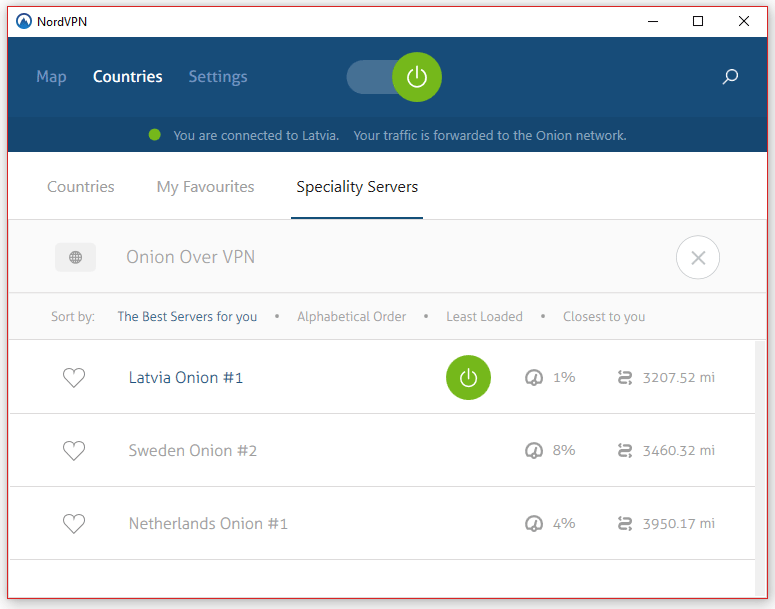 They offer three Onion over VPN Servers. Now select server which is least loaded. Here I selected Lativa Onion #1. After clicking on server, It will take one or less minute to establish a connection. Once you see the connection is established, follow next step. 3). Visit https://www.torproject.org/projects/torbrowser.html.en and click on the Download Tor Browser button. Once you hit download tor browser button, you will redirect to download page; here you will see many options for download. Go with your understandable language and device (Windows, Mac, and Linux). Here I am going with the English language and Windows version. Once you hit your desired option, downloading will start. 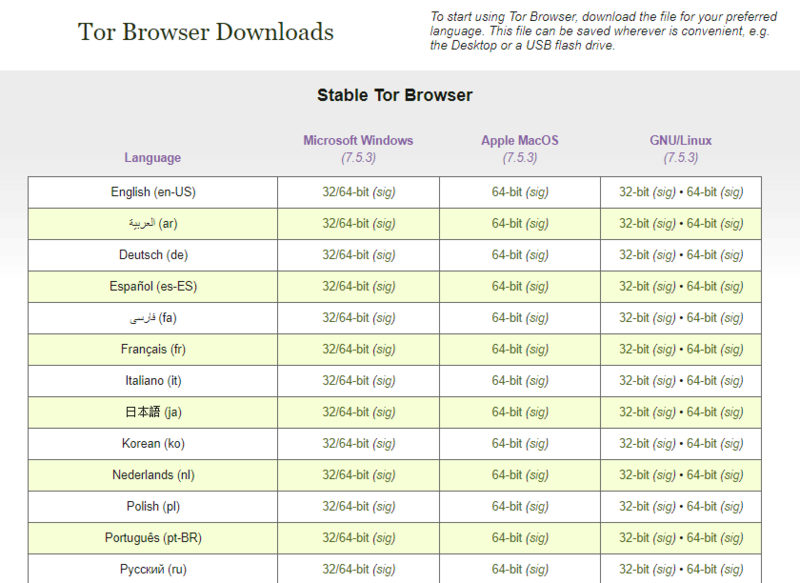 Now click on Exe file to install this tor browser software. Installing process is same as like we install other software. In case you are non-techy, then follow instructions. Click on Run and select your preferred language. Click Ok button. Now select the desired location and click on the Install button.It will take one minute to finish installing process. And you will get a new window. Now hit the finish button. Installing has been done. 4). Now start Tor Browser, and it will establish Tor circuit and connect you to Tor Network. Sometimes it asks for a confirmation, directly hit okay button. Now you will see a screen like this. For the advanced setting, you need to click Onion Button which is the second button on the top left corner of Browser. Here you will find following options. New Identity: New identity helps you in preventing your subsequent activity from being linkable. Since when you click on New Identity, it will close all active windows and tabs in tor Browser. All dark web sites session will be lost means it will clear all cookies and browsing history. And set up a new tor circuit means it assigns a new temporary IP address. Short Cut Key is Ctrl+shift+U. New Tor Circuit for this Website: it setups New Tor circuit for active Tab only not for the whole browser. To take this action, you don’t need to restart the browser. You can use this option when a website is not loading to reload the tab over a new circuit. Short Cut Key is Ctrl+Shift+L. Tor Network Settings: Going through Tor Network Settings option, you can set your proxy server if you are using. And If Tor is censored in your country, and then you can add bridge info also here. 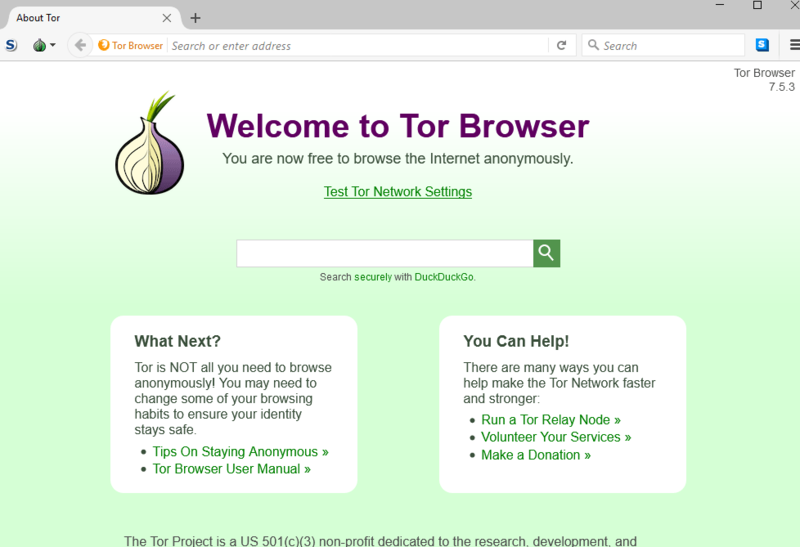 Check for Tor Browser Update: It is always recommended to use the latest version of Tor. You can use this option to check if the new version is available. You can also check this by visiting Tor official website. 6). Now all is done. You can access your desired .onion sites/tor sites. Enter onion site URL in the address bar of Tor Browser and enter. That’s it. For ex: Here I am pasting Dream market alternative URL in Tor Browser. Result after pasting URL and pressing enter button. Now you are into the deep web. I think now you know how to get into the deep web/dark web and how to access onion sites. Now you need a list of onion urls of hidden service on the dark web. Don’t worry; I have a grand list. To access this deep web links list, visit https://www.thedarkweblinks.com/. Here all dark web sites are categorised for your ease. And I always keep updated this list with working .onion sites. All hidden service is listed with dark web link and a short description so that you can understand what they are offering to their readers before browsing. Now, I have reached at the end of the article. If you have any query or still facing any issue in accessing onion websites, then feel free to ask in comments. I will happy to help you.